There’s been a lot of chatter lately about castor oil for hair growth being the next big thing for bald guys (and ladies). But, does it actually work to regrow hair? I’ll go deeper into that in this article, but I want to make a point that pure castor oil uses for hair have benefits that go way beyond literally regrowing your hair and should be used anyway. Don’t get me wrong, there are some cases in which castor oil will regrow your hair. It just doesn’t work for everybody. And some work better than others. Read on for which castor oil I think is the best, (spoiler alert! 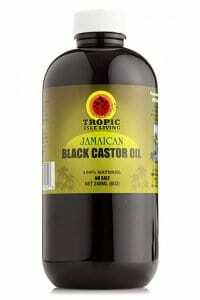 It’s Tropic Isle Living Black Jamaican Castor Oil from Amazon.com!) and what the best castor oil uses for hair are. The benefits you get from using castor oil for hair is that your hair is fuller, thicker and for some, will start to regrow. But, not all castor oils are the same. Some are made as a laxative and meant to be ingested. In fact that was its original use for thousands of years. So here are some features that you should be looking for when you are getting pure castor oil for hair growth and other benefits. You’ve probably seen the phrase cold pressed when looking for a cook extra virgin olive oil. It’s a bit of a buzz phrase these days for foodies, but there are some reasons that oils that are cold pressed are better. For starters, using heat to express oil from a seed or vegetable will alter the chemistry of the oil. A lot of the nutrients get nuked when they are heated. Cold pressing retains many of the qualities that will benefit your hair and skin. Most castor plants are grown in Jamaica as the climate is ideal for them. So the oil from those seeds is some of the best in general, anyway. But to make it black they add the ashes from when they roast the seeds. So, the oil is still cold pressed, but the color comes from the ashes. As a result the oil is black instead of straw yellow like with traditional cold pressed castor oil. The oil has a higher alkalinity. This helps open up the cuticles of the hair. When you use a clarifying shampoo, they are all high alkaline, so you get the same benefit from Jamaican black castor oil. You probably won’t be using hydrogenated castor oil for hair growth as it is more like a castor wax and the application process is different. It is found in most cosmetics since the addition of hydrogen turns it to a paste so it stabilizes them. This is not something you necessarily need to be looking for, but since you will see the name pop up frequently, I decided to include it so you know what it is. There are some terms to get familiar with to know if the castor oil you get is going to get the job done. Pure castor oil is 100% oil pressed from castor seeds. That should be obvious, but when a label just says castor oil, it could also have other oils mixed in. be sure that you get all the benefits of castor oil by only getting pure. The color should be a pale yellow color and the smell is fairly nutty. In fact, one of the downsides of castor oil is the smell. I usually recommend blending it with other oils, but more on that later. Whenever you can, try to find castor oil, or any other skin and hair product, that is certified 100% organic. This way you know that what you are getting has not been treated with chemicals that may end up being harmful to your skin or hair. AA Standard is essentially the same as being extra virgin. It is the first pressing of the seeds and is thick and darker in color. This has the highest concentration of the nutrients you want in castor oil. Industrial is when the seeds are pressed and then the oil added to the second pressing and then the third. This thins the oil so it is more fluid, but it also dilutes the nutrients. This should be avoided for use on your skin and hair. Retaining all the same nutrients as a cold pressed castor oil, this black Jamaican castor oil for hair growth is slow roasted to extract all the oil from the beans and then the ash is added. This is 100% pure castor oil that works much better at providing a myriad of benefits to your hair and scalp. It is high in Vitamin E which will moisturize and nourish your hair. Omega 3 fatty acids will fight the free radicals in your skin and hair follicles that are damaging your hair and causing the strands to be brittle and thin. At a very minimum you will find your hair is thicker and healthier. If you have any skin conditions like alopecia or folliculitis, then the ricinoleic acid in it will help to calm the irritation and inflammation of the skin to help the follicles get the nutrients they need from improved blood circulation. This is what will help to regrow your hair and stop hair loss. Your dry, damaged and nutrient starved hair can’t grow properly until these problems are eradicated. If you have hard water that leaves your hair dull and brittle, then the alkalinity of the black castor oil will clarify your hair and remove any deposits that have been building up. This will also speed up your hair growth. In addition, if you have acne, then the castor oil will wash away the build up of sebum in your pores and kill the bacteria that is causing the acne on your scalp. Don’t think you only need to use this on your head. If you have a patchy beard, you should give this a try and see if it might help your beard grow fuller and faster. If nothing else, it will look healthier and be less brittle as a result. This is not a miracle cure for guys with male pattern baldness. In fact it won’t do much to help regrow your hair. But, in your case, it will make the hair that you’ve managed to keep looking and feeling a lot healthier and this will not go unnoticed. For people with skin conditions that are seeing their hair look dry and the growth slowed, then this should help you see more new growth and better growth from the hair that hasn’t fallen out. As well as stopping your hair loss. Yes, you do actually need instructions on how to apply castor oil. This is a very thick oil, that can also stain clothes, so you need to make sure you apply it without making a mess. Pretend like you are going to dye your hair and prep yourself and area accordingly. Put a towel around your neck, covering your shoulders. If you really want to make sure you don’t ruin your clothes, you can also put a barber cape around your neck. Your hair should be damp, but not wet. This will make the application process much easier. As I mentioned, the oil is very thick and it makes it difficult to get it spread around evenly. If your hair is dry it clumps up on you. Use a dripper to get your oil ready. If the bottle you bought it in doesn’t have a dripper, make sure you get one as it will make your life easier. Drip it in the palm of your hands, about a teaspoon at a time and rub it into your scalp first and work your way towards the end of your strands of hair. Repeat this a couple of times until you have your whole scalp covered, particularly any problem areas. Let it sit for around 20 minutes or up to an hour. You could even do this and leave it overnight, but remember, it will stain your pillow and leave a greasy residue everywhere. This is the tricky part, believe it or not. Castor oil is not easy to wash since it is really thick. Make sure you use plenty of shampoo and really scrub your scalp and hair getting a good lather up. Rinse it out and do it again. When it comes time to rinse, however, try to use cold water if you can. This will help seal your hair follicles and keep the nutrients from the castor oil in your hair. If you are using castor oil for hair growth, then you should be using it around three times per week. This is if you use it on its own. You can add some to other oils and make a mix where it is not the main ingredient and still get some benefits from it. In which case, you could use it everyday if you want to really go nuts. You can read a more detailed article about it with some castor oil hair treatment recipes here. Since castor oil can be so thick, and honestly not smell very pleasant, it is a good idea to mix with other oils. This way you can get the benefits of castor oil as well as utilize other oils for the features they provide that castor oil doesn’t. This is one of the best oils you can use on your hair and skin as it is. Combined with castor oil, it will take your scalp and hair health to another level. On its own it can heal your hair and skin from damage done by the sun, water, and any chemicals used to treat your hair. It hydrates and helps the skin and hair retain moisture. Combine this with Jamaican black castor oil for hair growth and you have a killer combination as it will cleanse out the pores, disinfect any bacteria or fungus on the scalp and revitalize your hair. Jojoba oil is as close as you can get to your skin’s natural sebum, or oils that coat and nourish your hair. The problem for some people is that they produce too much sebum which clogs the pores and ends up attracting bacteria. This causes Seborrheic dermatitis which could be the cause of your hair loss. So, what happens is you use shampoos that strip the sebum and you end up with dry and brittle hair. 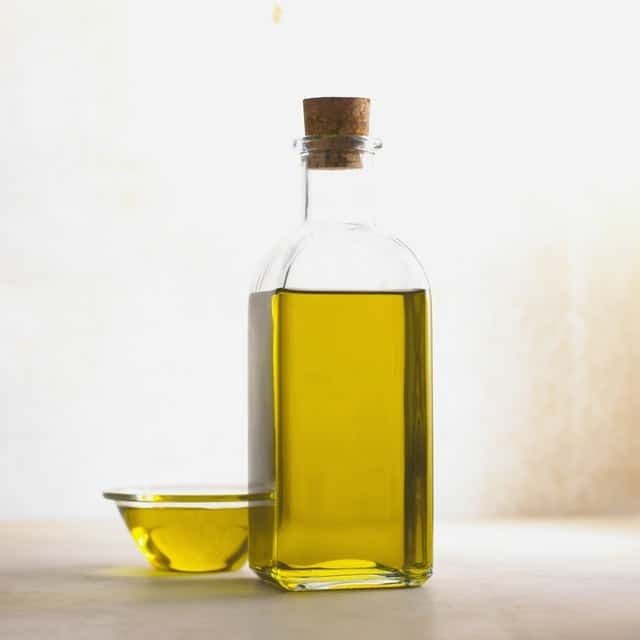 Use jojoba oil to replace the sebum and mixed with castor oil, you can prevent dandruff and dry scalp while maintaining the natural oils your hair needs. This is an essential oil that should be used sparingly. I recommend using a few drops combined with a tablespoon of castor oil mixed with a tablespoon of argan oil to effectively prevent dandruff, dry skin, folliculitis and other skin conditions. Since your scalp is going through a lot and can end up feeling sensitive after your treatments, you should add a few drops of lavender essential oil. This calms and soothes the skin. But it has another function to go along with castor oil. It smells nice and beats away the funky nutty smell of castor oil. Is it Worth it to Use Castor Oil? Castor oil uses for hair, as you can see, are very numerous. Even if you are not looking to use castor oil for hair growth, there are so many benefits to using it that I recommend anybody that is having trouble with an irritated, dry scalp, or brittle hair with split ends to try out some Jamaican black castor oil for hair growth or simply for hair health. It may not be the magic bullet you are looking for to stop hair loss or to regrow your hair, but it is worth it anyway. If you don’t have any unrealistic expectations when it comes to regrowing your hair, then you should see a difference that you are satisfied with. Do you have any questions about castor oil or any of its uses? Maybe you have a recipe for a treatment you’d like to share? Either way, drop us a line by adding a comment to the box below.